Scandinavian Journal of Work, Environment & Health - Lung cancer and other mortality patterns among foundrymen.  This report updates a previous proportional mortality study of deaths among members of the International Molders and Allied Workers Union and includes new findings from a nested case-referent study of lung cancer. Death certificates were obtained for 99.2% of the 3,013 deaths reported to the Union death benefits program between 1971 and 1975. With the use of age- and race-specific cause distributions of all male deaths in the United States for comparison, statistically significant excesses occurred for all malignant neoplasms, lund cancer, and nonmalignant respiratory disease among both the whites and blacks. White foundrymen also exhibited a statistically significant excess of respiratory tuberculosis. The lung cancer case-referent study found a statistically significant (p less than 0.05) odds ratio of 2.36 for workers in iron foundries when compared with workers in steel and nonferrous foundries for those who died before the age of 65. A much smaller odds ratio, 1.19, was found for those who died after the age of 64. See 1982;8(1):83 for a correction.